The Vickers F.B.5 Gunbus replica was built by the Vintage Aircraft Flying Association (Brooklands) and has an original 100 h.p. Gnome engine. Finished as 2345 Bombay (2), it first flew on June 14, 1966, and is now in the RAF Museum. 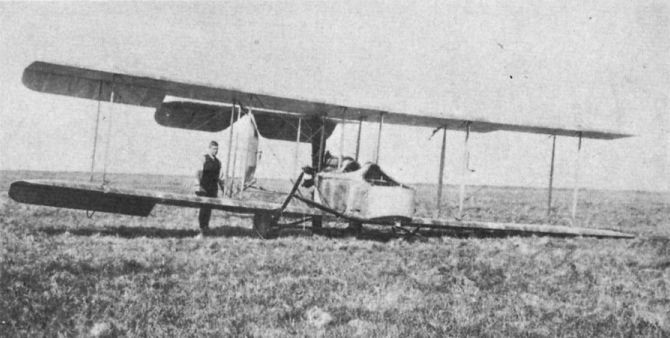 664, the prototype F.B.5, displays an early, non-standard gun mounting and the original straight-edged rudder. The factory-fresh F.B.5 shows the rounded nacelle of production aircraft and the clamp for the observer’s Lewis gun. The observer of an early straight-ruddered F.B.5 demonstrates his Lewis gun technique. 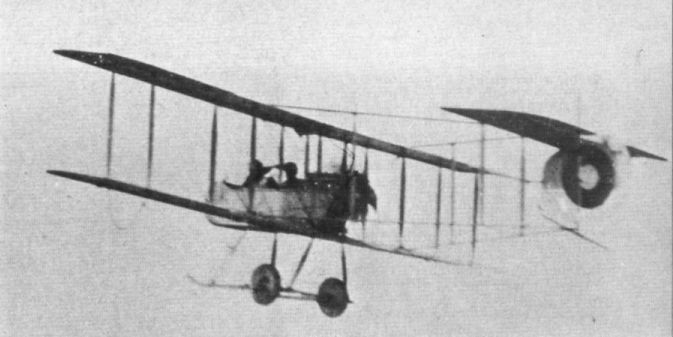 This view clearly illustrates the semi-transparent effect of the wing doping on the F.B.5. Note also the inboard location of the roundels beneath the lower wing. Gunbus No 1621 in German hands. 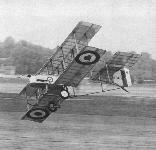 It flew briefly with Nos 2 and 16 Squadrons in February 1915 before being brought down and captured intact. Gunbus 2874 served with 5 Squadron in 1915, being flown in action by Lt S. G. Gilmour, RFC. 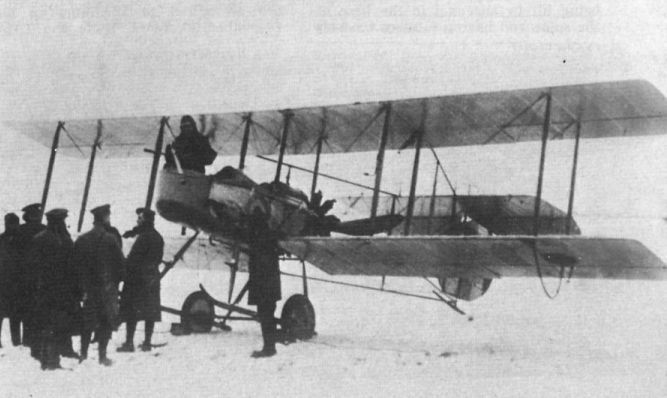 An 11 Squadron F.B.5 in the snow of the 1915-16 French winter. This squadron was the first to be totally equipped with the type. 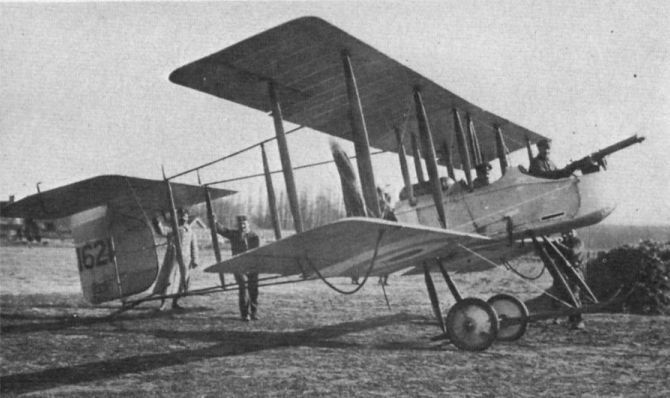 A line-up of 11 Squadron’s F.B.5s in France. Covers have been placed over the Lewis guns to protect them. The Gnome Monosoupape rotary was the cause of many headaches. 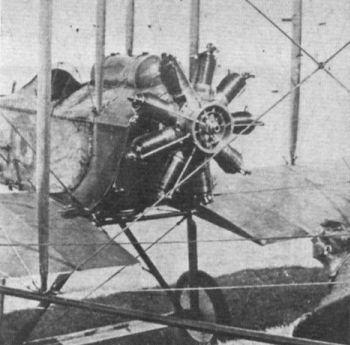 An 11 Squadron F.B.5 has its engine diagnosed, above. 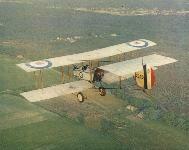 The original presentation Gunbus 2345 Bombay (2), on which the VAFA’s replica was based, flew with No 18 Squadron. 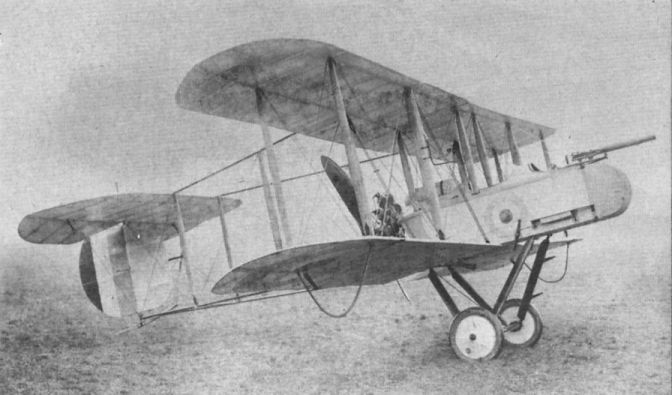 The flying shot depicts an F.B.5 which operated with the Belgian Air Service for a short period. 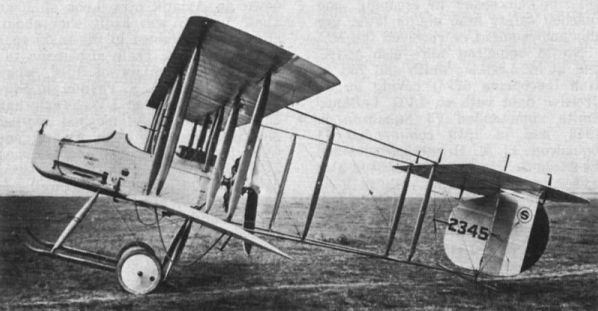 Note the rudder roundel. A poor but rare air-to-air view of an F.B.5 of 11 Squadron, taken early in 1916. 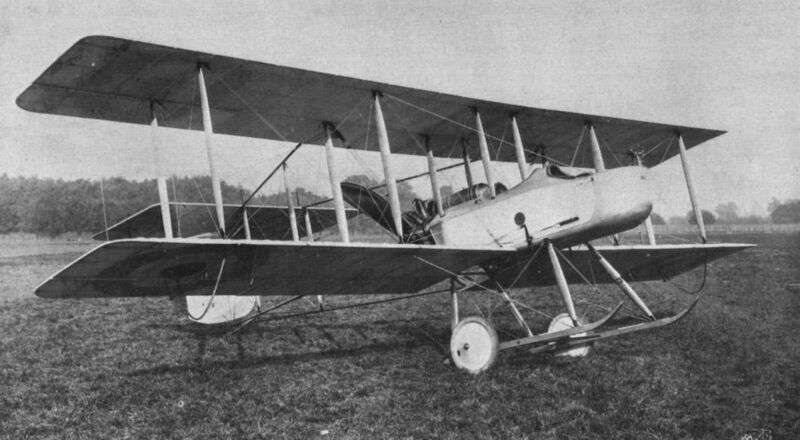 One of four F.B.5As (F.B.9) with an armour-plated nose and vee-strutted undercarriage, built at Bexleyheath. 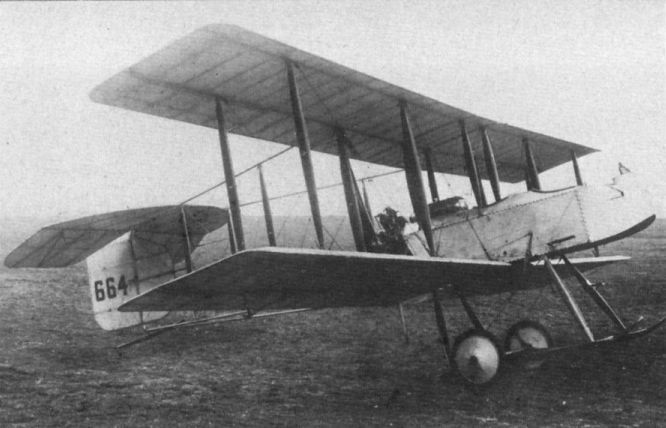 The engines were 110 h.p. Le Rhone or Clerget rotaries.